The Dunes Course, designed by former US Masters Champion Bernhard Langer, is set in a diverse landscape with amazing sea and river views. Greece’s first signature-designed golf course, par 71 course measuring almost 6,200 meters from the back tees and a little more than 5,000 meters from the front tees. The Bay Course, designed by the legendary Robert Trent Jones II opened in October 2011 at the nearby Navarino Bay site. Providing a challenging yet fair test to golfers of all levels, The Bay Course meanders through rolling hills and lush olive groves, offering sublime sea views, with two holes played adjacent to the historic bay of Navarino. Both Golf courses are within 5 km distance from Gialova Gardens. 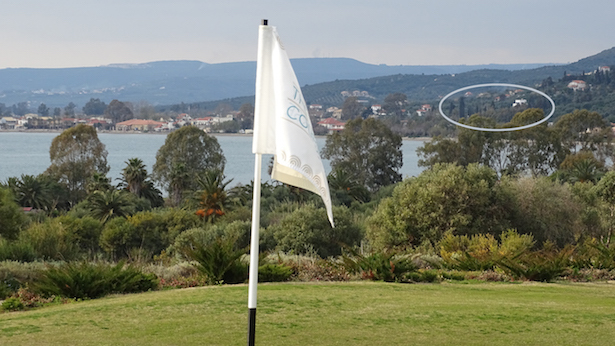 You can see our villa Andrea from the golf course (see photo).